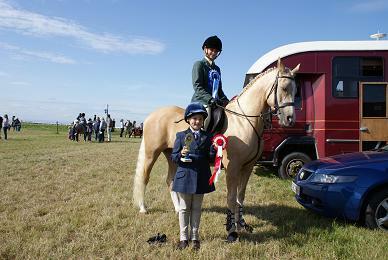 What a summer it's been with pony club camps and shows and the stud season! There willl be a full report to folllow but here are a few photos of all the fun and games. 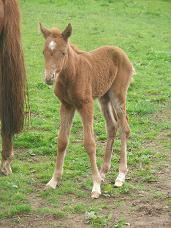 She is very like her dad and is enjoying working. 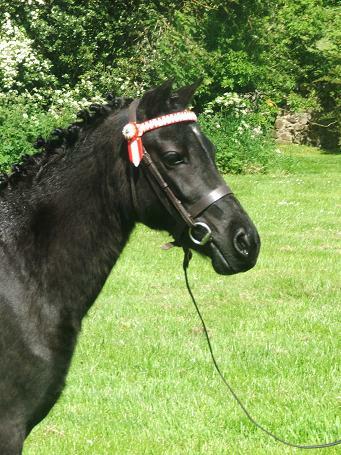 She will be going forword for lifetime grading with the Scottish sports horse (she gained 1st premium as a foal) in September and national pony loose jumping after that. 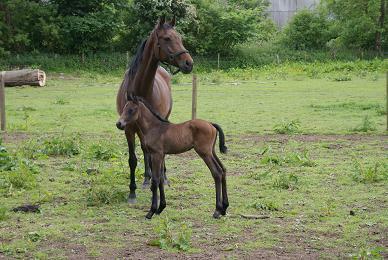 Beth has had a colt who is to be named Kriss at home posh name Scholland Croesaw (welcome in Welsh), born 7am 24th/4/09. 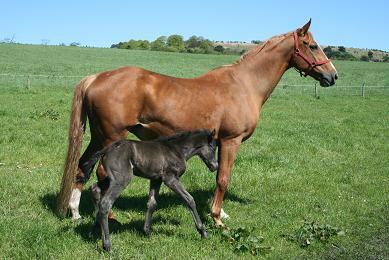 David Ralston let us know that on 10 May at 2.30am Desitiny had her colt foal (from Rushifauld Havanna). 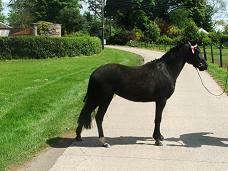 There were no problems, everything went well. 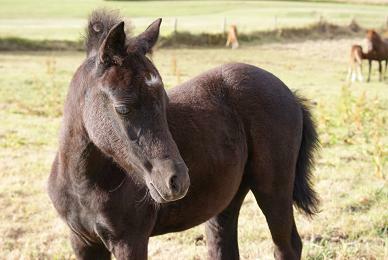 The foal is called Midnight and he is a live wire. 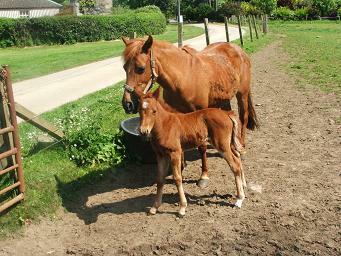 This is Havanna's 2nd horse foal and both are a credit to their owners - congratulations to all. 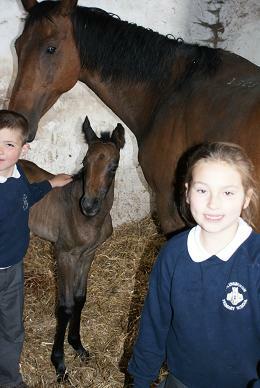 Evita surprised us all with the arrival of her filly 7 weeks early! 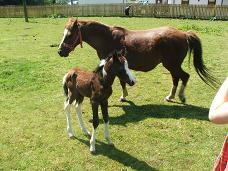 Mum and daughter both doing well.